Emergency personnel at the scene after the vehicle crashed into the tree, killing three people. Pic: Newcastle Advertiser. KwaZulu-Natal police have appealed for witnesses to come forward after three people died when a vehicle smashed into a tree, wrapping itself around the truck, in Newcastle at the weekend. Police said the exact cause of the crash remained under investigation, according to Newcastle Advertiser. Preliminary reports indicated that the vehicle had been travelling at a high speed down Allen Street towards the CBD just after 7pm on Saturday night. 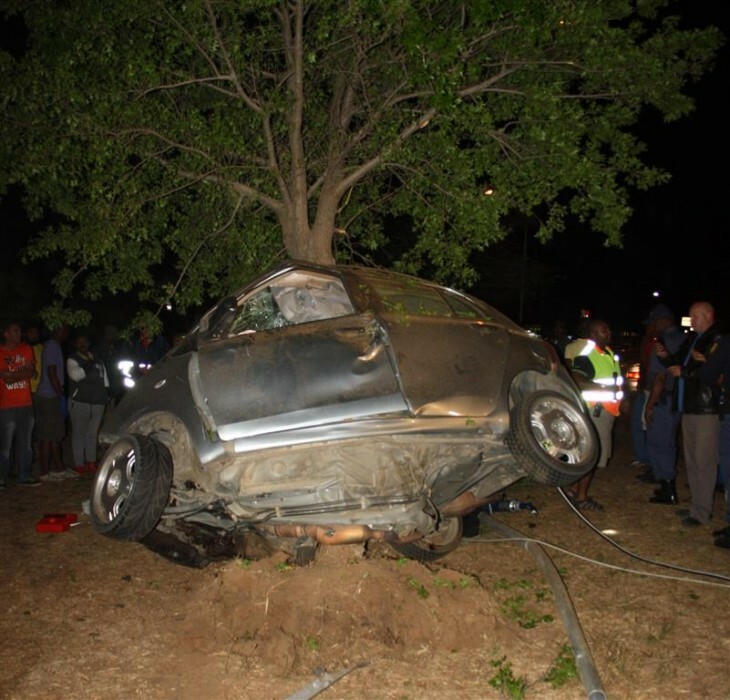 The driver was believed to have lost control of the vehicle, causing it to skid across the road into oncoming traffic, before veering back and smashing into the tree. Parts of the car were said to have been found as far as 25 metres from the point of impact. One of the four people in the vehicle had survived the crash, after sustaining a fracture to his left arm and slight head injuries, according to Rural Emergency Medical Response. Eyewitnesses can contact Warrant Officer Shabir Ismail on 082 839 0019. 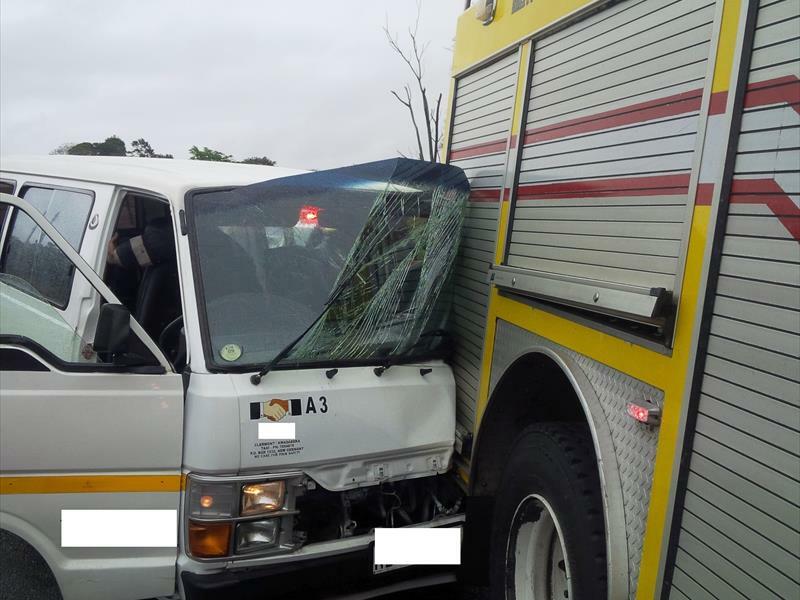 In a separate incident, eight people sustained various injuries when a taxi ploughed into a fire engine on the M13 near Dawncliffe in Westville, KwaZulu-Natal on Sunday. Eight passengers from the taxi sustained various injuries and were stabilised on the scene following the crash. Pic: Rescue Care. Rescue Cares operations director Garrith Jamieson said the emergency paramedics had been attending to a collision in which a vehicle had overturned and rolled down the embankment when they heard brakes screeching. “The taxi smashed into the back of the fire engine. Eight passengers from the taxi sustained various injuries and were stabilised on the scene before being transported to various Durban hospitals,” said Jamieson. No emergency personnel, who were attending the first accident, were injured in the taxi collision.